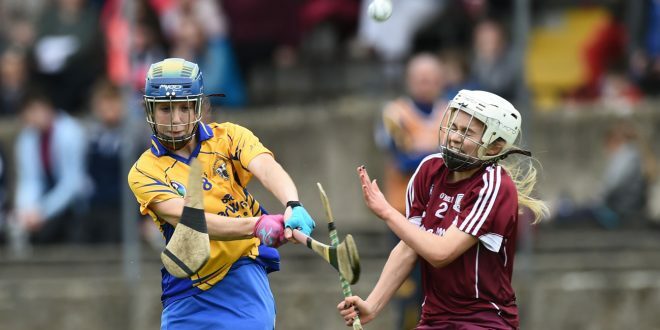 Laura Foley of Clare breaks the hurley of Galway's Sinead Cannon during their Minor A All-Ireland final at Nenagh. Photograph by John Kelly. 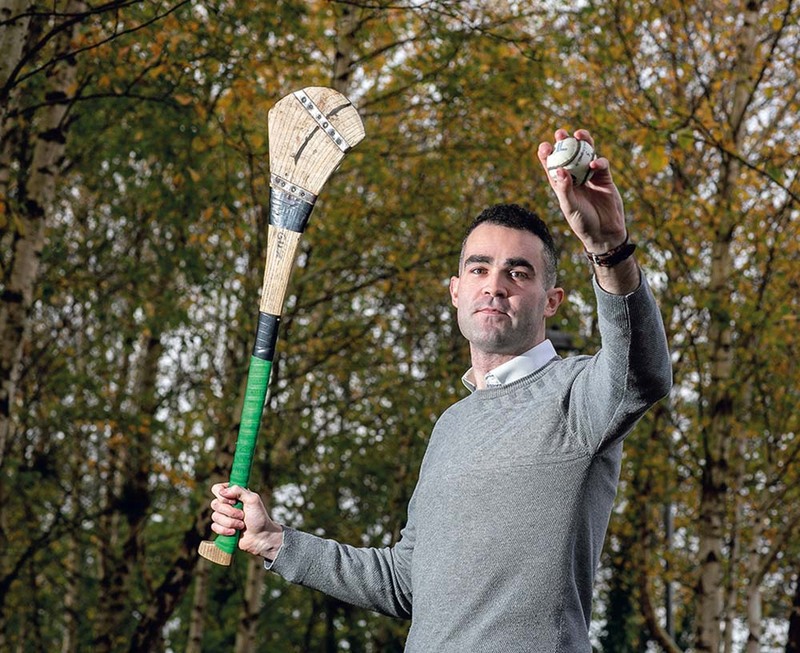 Clare’s wait for an All-Ireland minor camogie title goes on. 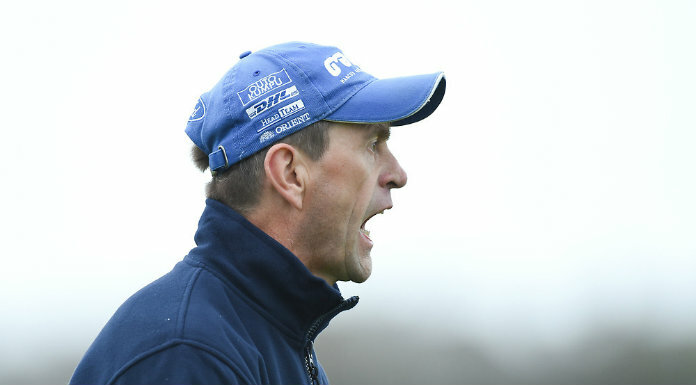 Their latest final defeat, their fourth in ten years, came at the hands of Galway at McDonagh park in Nenagh on this Saturday afternoon and while the final scoreline is somewhat harsh on Clare, there is no denying the merit of Galway’s win. Galway brought goalkeeper Sarah Healy up to take a penalty in the tenth minute but her effort was saved by Emma Kennedy. However they hit back four minutes later for the opening goal of the game, Mairead Dillon shooting to the net following a delivery from a long range free by team captain Leanne Helebert. 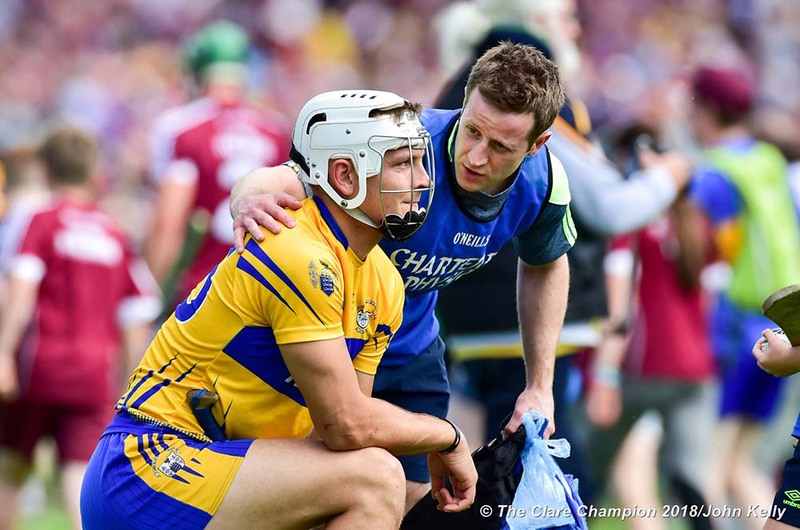 It was a day of mixed fortunes for Clare forward Bridin Dinan. In the morning she captured an All-Ireland minor doubles handball title at Kingscourt in Cavan before dashing to Nenagh to play the camogie final.